We have only two words to describe this item: simple and yet, adorable. This glass geometric glass ring box with its pentagon lid on top is all devoted to keep your rings safe and to look beautiful at the same time! 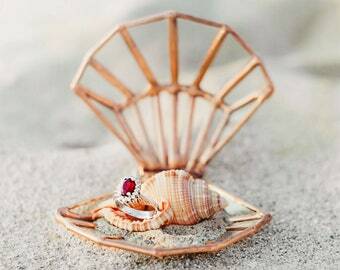 Besides being perfect for almost all wedding themes, you are welcome to use it as a charming nest for your small jewelry. 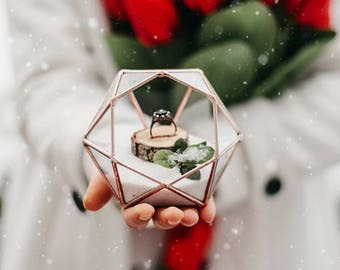 Beautiful one glass geometric wedding ring box ideal for holding your wedding rings or to set the scene for a surprise proposal. • We handcraft this piece from top quality 2 mm clear glass ground smooth, cleaned and copper foiled. The glass pieces are meticulously assembled and soldered together with care. The final steps are to wash, patina and wax the product. Please note that the product you see on the 1st, 3rd, 5th & 6th product photos is in copper, and the one in the 2nd photo is in the rustic copper finish. All images, descriptions and creative content are © 2014-19 by WAEN® – Aslı Candan Özsaltık & Murat Özsaltık – Violation of this copyright may subject the violator to civil and/or criminal prosecution. All rights reserved. Respect des délais et envoi soigné. Très contente de mon achat, elle fera un superbe porte alliances pour notre mariage! We finally got our box and it’s worth the wait! Will be using for my ceremony wedding rings. Came with great quality Moss. Only note is it doesn’t snap or lock into place. How do I proceed payment? We accept payment through Shopier, the secure online payment system which is integrated into Etsy with the Etsy API for payments and allows you to make a payment with a credit/debit card. Once you've added an item to your shopping cart, navigate to your cart by clicking the cart link at the top right of any page. Once you are ready to place an order, proceed to checkout, and then you can submit your order by clicking "Submit order" button. Following your order placement, you will receive an email from Shopier. You can easily proceed payment via "Pay Now" button in this email. Once the order is paid, we will mark your order as paid manually. Feel free to contact us if you require any further information. We are here to help you! Is it possible to speed up the shipping? Of course! We offer various solutions for express shipping – including Two-Day Delivery. Once you've added an item to your shopping cart, navigate to your cart by clicking the cart link at the top right of any page. You can then select available upgrades from the shipping options dropdown menu located to the right of your item. If you decide to go with expedited shipping, please write your phone number in your order note or just send us a message. It is required for a better shipping experience. How does the ring stand up in your ring dish photos? Is there any way to add something so the ring can stand up? 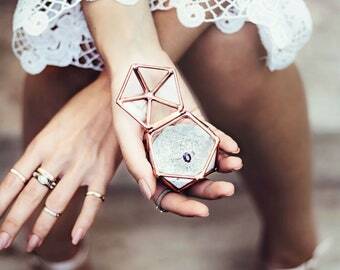 We use glue pads to make the ring stay in stand up position when taking styled product photography. 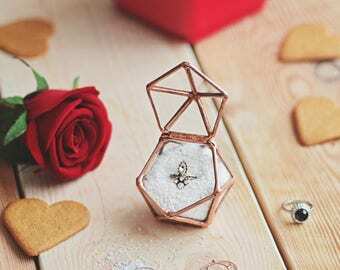 It is a practical way to display your ring for photography and allows you to use your ring dish for multiple purposes like holding other types of jewelry, and candles. If you'd like to use the ring as seen on photos, we can attach a metal ring holder in the middle so the ring stays up in upright position. If you're interested in this customization, all you need to do is to put a reminder in your order note. We'll handle the rest for you. We create custom orders on special requests. Describe to us what you need – with clear dimensions if possible. We'll happily handle the rest. Please note that custom orders do not qualify as part of a running sale or free shipping offer on our shop. What happens if my order arrives in damaged condition? However, if you were hit by bad luck, all you need to do is to contact us within 24 hours with a photo of the damage incurred to your item. Once you provide a proof that the item is damaged, we’ll offer you a replacement of the product you purchased and supply you a brand new item free of charge as soon as possible. Please note that any request made later than 24 hours & without a proof won’t be considered as an eligible request. Glass is fragile in its nature - for this reason, all damage that occurs after the product is received is considered to be at the fault of the recipient. I need my order really soon. Can you rush it? If you need your order sooner or by a specific date such as holidays, birthdays, weddings or events, you might want to rush your order with the listing given below or select "Two-Day Delivery" option at checkout if available. We make sure that each and every object is securely double-packaged, so it gets to you in one piece. We use lots of bubble wrap and styrofoam to immobilize the object in its original packaging and place these packages into strong cardboard boxes to prevent possible damage during transit. Multiple purchases may ship separately depending on the size & form of the items. 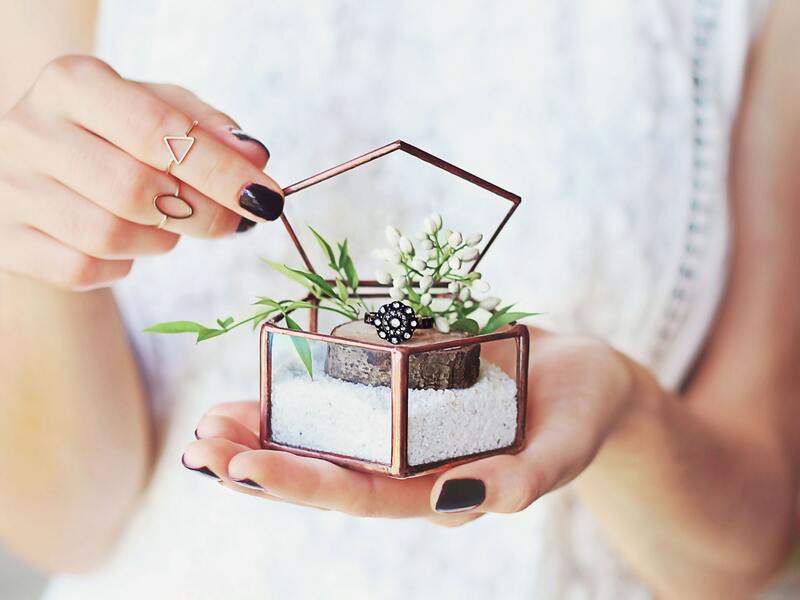 Want to buy something to send directly to a friend in another city or country? We are happy to make your loved ones happy! Just make sure to mark your order as a gift in your cart and then add a gift message and gift wrapping if you like. Don't forget to put your friend's address info as the "Ship To" address and we'll handle the rest for you. We're committed to partnering with the best retailers around the world. If you are a shop owner who is interested in carrying Waen® products, please fill the form below so we can get to know you a bit better. Thank you! I'd like to keep in touch with your brand. How can I get store news? We occasionally send emails to our customers or anyone who is interested in our stuff about new exciting products we will be creating more in the future, special offers and more! All you need to do to get these emails is to sign up our to mailing list. Welcome to the family! It's good to have you here. Our products are basically made of glass, solder and finishing chemicals and as of all stained glass items, they have a unique handmade touch due to the nature of the production. Wash them gently, dry the glass with microfiber swab, do not use chemicals on them. Wax them with a furniture or car wax for more shiny and new look if you like.